I make no apology for wearing my Maryland pride on my sleeve. Our flag is the prettiest state flag, after all. I point out that we my live somewhere else but we’re from Maryland, that our state is progressive but is still tied to its farming roots. We might even point out that the pilgrims of Mayflower fame wanted freedom for their religion but not anyone else’s, and it was Maryland (The Free State) that enacted laws protecting religious freedom. So why am I getting in to all this red, white, gold and black (the colors of Maryland’s flag) fervor? 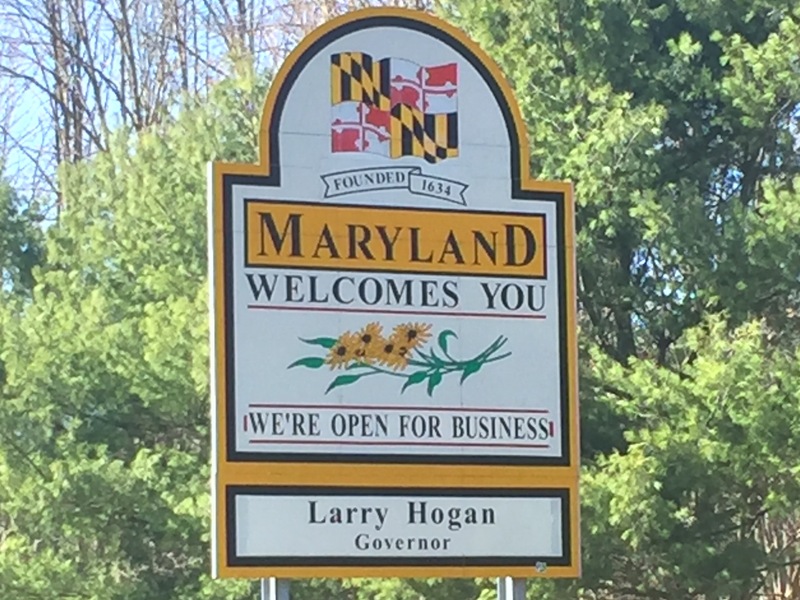 Friday the 25th was Maryland Day. Back in 1634 (that’s 382 years ago or 142 years before the American Revolution) the ships the Ark and Dove landed on St. Clement’s Island before moving 12 miles away to the location of present day St. Mary’s City. A great way to celebrate this momentous day in the history of the United States is visiting the living history park in historic St. Mary’s City. You can walk to the water’s edge and step on board a floating replica of the Dove and get a good sense of the cramped conditions on the 76-foot ship packed with sailors, colonists and supplies. The center of town has a mercantile with an assortment of period replica sundries for you to peruse. The Godiah Spray Tobacco Plantation gives you another chance to travel back in time, letting you witness life on a plantation in 1661. Note: you won’t see any African slaves on this plantation. The availability of cheap indentured labor made the significant cost of true slavery ineffective. If you are into historic churches we have one — kind of. There’s a reconstruction of the first Catholic church in the British Colonies. It was painstakingly rebuilt by a team of archaeologists to give us an accurate representation of the the early colonial structure. I suggest St. Mary’s City as a great summer day trip from DC if you want to learn more about early colonial life — and more proof that my Maryland is the greatest state in the union.